Don’t let bad skin get in the way of your Valentine’s Date Night. 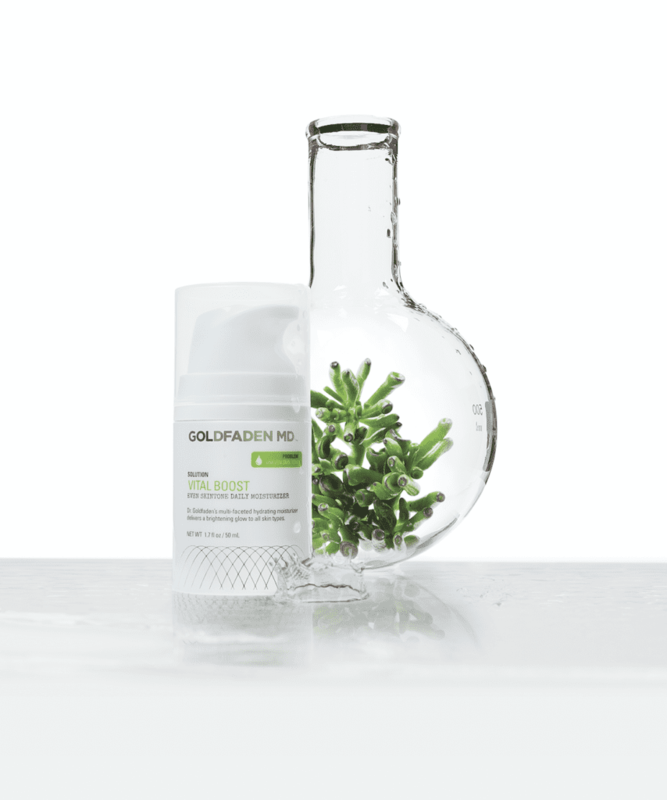 Use your favorite Goldfaden MD products in lead up to your plans for clear and refreshed skin and a confident and beautiful YOU. 1. Exfoliate with Fresh A Peel: Put your freshest face forward with Dr. Goldfaden’s supercharged Lactic and Multi-Fruit Enzyme exfoliating peel. This non-irritating peel removes dead skin cells to reveal fresh, youthful skin. The unique combination of Lactic acid and Multi-Fruit Enzymes provides a superior rate of skin rejuvenation while reducing the appearance of fine lines, pores, and skin imperfections. Directions: Use on clean skin. Dispense a small amount of gel to your fingertips and smooth over entire face and neck. Leave on for 1 to 3 minutes, depending on tolerance. Rinse off with cool water. 2. 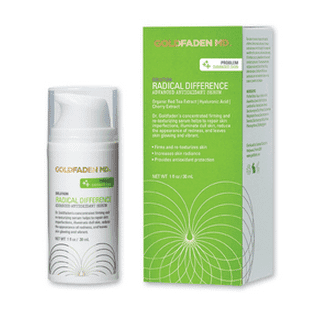 Rejuvenate with Radical Difference: Dr. Goldfaden’s highly concentrated firming and re-texturizing super serum employs the anti-oxidant powers of Red Tea and Cherry Extracts to create a protective barrier that prevents and repairs skin imperfections, reduces the appearance of redness and rejuvenates the skin. Added hyaluronic acid maintains natural moisture retention, firms and plumps skin. This advanced formula is both oil and fragrance-free and is perfect for all skin types. Skin is left glowing and vibrant. Directions: Apply 1-2 drops on cleansed skin, under moisturizer, to create a protective antioxidant barrier. Follow with your favorite Vital Boost to lock in vital nutrients. For optimal results, use morning and night. 3. 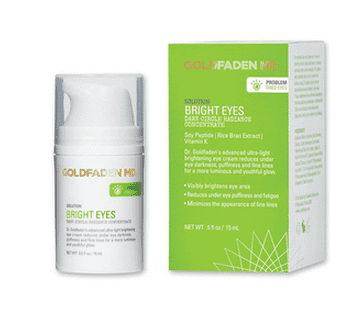 De-puff with Bright Eyes: Dr. Goldfaden’s advanced brightening treatment is a must-have for the eyes. This powerhouse formula instantly reduces the appearance of dark circles, puffiness, and fine lines. Soy peptide, vitamin K, Rice Bran Extract, Organic Red Tea and Jojoba Oil work together to deliver intense hydration and firmness while ensuring the eye area has a luminous and youthful appearance. Perfect for all skin types. Directions: Apply 1 drop on fingertip and gently pat around the eye area on cleansed skin. For optimal results, use morning and night. 4. Brighten & Moisturize with Vital Boost: More than just a daily moisturizer, Dr. Goldfaden’s Vital Boost delivers hydration, antioxidant protection and a brightening glow to all skin types. Skin boosting and rejuvenating Vitamin D maximizes the skin’s immunity, provides powerful antioxidant protection, improves elasticity and promotes a more youthful complexion. Brightening skin agent, Gooseberry, leaves skin looking dewy, radiant and flawless. Oil-free. Directions: Apply morning and night to cleansed skin.